Since the oil boom of the 1970s, the Gulf Cooperation Council States have attempted to achieve economic stability and realise their development goals. Such efforts have so far been in vain, however, as these states' autocratic governments have closed off their political systems with the support of international allies, especially the United States. In this timely and exhaustive analysis of the political economies of the GCC since the 1970s to the present, Yousef Khalifa Al-Yousef examines the factors responsible for the failure of the states to achieve lasting change in development and security. 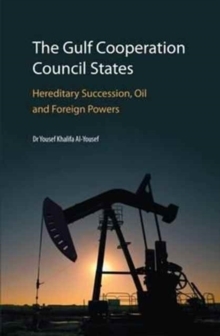 Focusing on institutional structures where oil wealth has been confined to the few, and the consequences of failed legitimacy at home that has led to dependence on foreign powers, Al-Yousef charts the consistent disparities between governance and the needs of the local population, to the detriment of genuine development.Al-Yousef concludes that the only way to ensure stability and growth in the region is to dismantle the alliance of autocracy, oil and foreign powers. Instead, democracy and reform are key to ensuring stability in the region.